PORTLAND – Several years ago, Isaiah Stewart found a kindred spirit in Mike Hopkins, who back then was an assistant for the Syracuse men’s basketball team. “He used to come to McQuaid (Jesuit High School in Rochester, N.Y.) and watch me work out, and I would think, ‘He must see something in me,’ ” said Stewart who has blossomed into one of the top prep prospects in the nation. “I’m this young dude. I wasn’t ranked. But he was still watching me. I just took notice. On Wednesday, Stewart signed his letter of intent to join Hopkins at Washington. Stewart, a 6-foot-9, 245-pound forward and the No. 4 prospect in the nation according to ESPN, is the highest-rated recruit in UW history, surpassing Markelle Fultz, who was ranked No. 7 in 2016. Stewart is listed at No. 5 by Rivals and No. 6 by 247 Sports. “We are so happy to welcome Isaiah to the Husky family and ready to have him in purple and gold,” UW coach Mike Hopkins said in a statement. “He is a dynamic player who has an unrelenting work ethic that fits exactly what we are trying to build here at Washington. In many ways, Stewart, a Rochester, N.Y., native who played at La Lumiere School in La Porte, Ind., last season, shares many similarities with Fultz. The former UW guard from Upper Marlboro, Md., was touted a one-and-done phenom who was taken No. 1 in the NBA draft after a dazzling freshman year produced stellar individual statistics during a disappointing 9-22 season. Meanwhile, NBAdraft.net projects Stewart as the No. 4 pick in the 2020 NBA draft. The prospective UW star declined scholarship offers from Duke, Michigan State, Kentucky and Syracuse. “I’m different,” Stewart said. “I’m a different dude from the other kids in my class. I don’t get caught up in the blue-blood stuff. I’m a loyal dude. 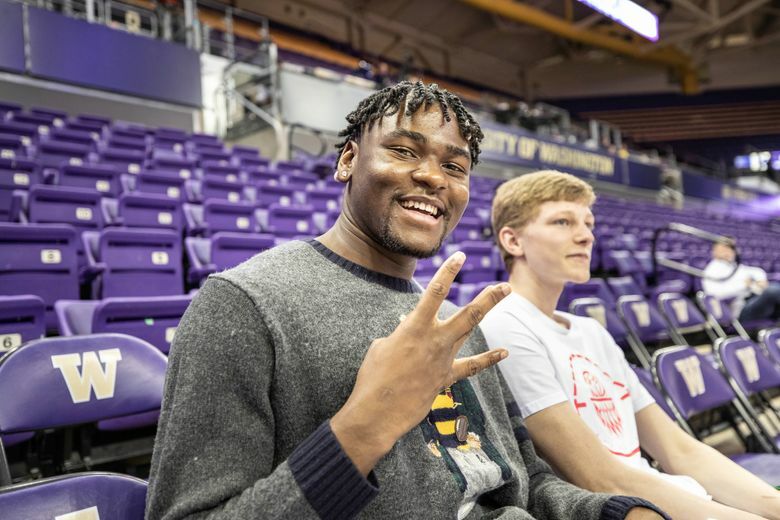 Last week, Stewart began to forge a relationship with future UW teammate Marcus Tsohonis, who practiced against Team USA in Nike Hoop Summit practice. Stewart joins a UW recruiting class that includes RaeQuan Battle, a four-star forward from Marysville-Pilchuck, and Tsohonis, a three-star guard from Portland who signed last November during the early signing period. Washington is also still in contention for Federal Way star Jaden McDaniels, a five-star prospect who is also considering San Diego State, Kentucky, UCLA and Texas. ✍️ Isaiah Stewart is officially a Husky! Welcome to the #HuskyFamily, @Dreamville_33.